New Hybrid Dolphin-Whale Discovered? ???? We’re sure you’ve heard the rumors that there is a new hybrid between dolphins and whales, and those rumors are TRUE! 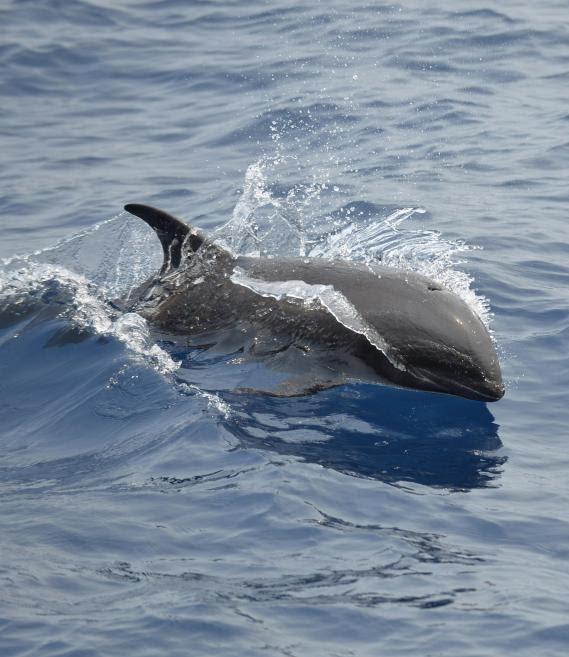 Last August Cascadia Research Collective (you’ve heard us talk about them before), conducted dolphin and whale research around the Hawaii islands. 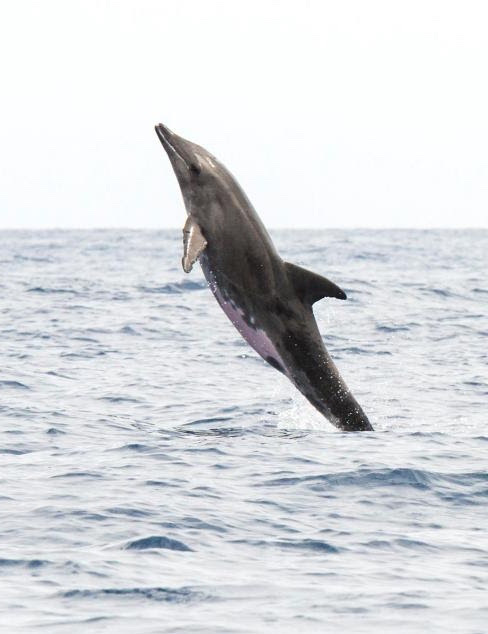 One discovery off the Kauai coast was this possible hybrid between a melon-headed whale and a rough-toothed dolphin. Rough-Toothed Dolphin believed to be the father of this new hybrid. Photo courtesy of CNN. So why are we just now hearing about this a year later? Real research starts with a possible discovery and then exercises scientific methods to confirm that discovery. That’s what Cascadia has been doing this past year by using photo ID, acoustic monitoring and genetic analysis which resulted in their recent published findings confirming the discovery of this new hybrid! So how do these hybridizations come to be? This isn’t the first time a hybrid has been discovered. 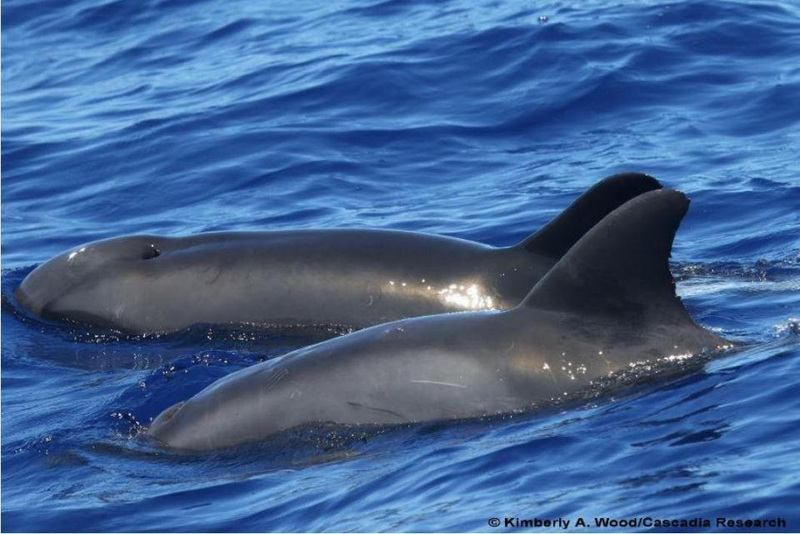 Bottle-nose dolphins and false killer whales were previously discovered to have cross-bred species as well. This particular hybrid was made possible by the fact that melon-headed whales aren’t actually whales, they are classified as members of the Delphinidae family also called oceanic dolphins, along with orcas and pilot whales. Their hybridization with dolphins, although uncommon isn’t impossible. Melon-headed whale believed to be the mother of this new hybrid. Photo courtesy of CNN. Does this mean we will see this new species in the ocean? Most likely not. Like a horse and donkey reproducing a mule, this hybrids will most likely be sterile themselves which is why sightings like these are so rare. On any account, new ocean discoveries always remind us how amazing nature is and how it’s our responsibility to care for our oceans!